Since the 2019 INFINITI QX80 is designed as a large luxury vehicle, it has additional or more advanced features to stand apart from the 2019 Nissan Armada, even though they share the same chassis. Although both vehicles have three rows of seats to make a maximum occupancy of eight people possible, it’s the QX80 that has standard leather upholstery and heated steering wheel; you would need to upgrade in trim on the Armada to get those. Also standard on the QX80 are tri-zone automatic climate control (not available on the Armada), a 360-degree camera (instead of a rearview one), and INFINITI Connection for functions such as automatic collision notification and a virtual personal assistant (also not available on the Armada). Options include a 15-speaker Bose audio system, a Wi-Fi hot spot, and a rear-seat DVD entertainment system with dual 8-inch monitors: again, features that are missing on the QX80’s cousin. Both the 2019 INFINITI QX80 and the 2019 Nissan Armada are powered by a large, 5.6-liter V8 codenamed VK56VD. But that’s where the similarity ends. On the QX80, the engine is tuned to produce 400 horsepower and 413 lb-ft of torque. On the Armada, that output is reduced to 390 horsepower and 394 lb-ft of torque, respectively. That’s 10 less horsepower and 19 less lb-ft of torque. Some critics note that there is a remarkable difference in usability between the infotainment systems of the 2019 INFINITI QX80 and the 2019 Nissan Armada. The standard 8-inch touchscreen that is the centerpiece of the QX80’s infotainment control sports menus that are straightforward, thus making it easy to use. It is also easy to reach from the driver’s seat. By contrast, the 8-inch touchscreen on the Armada has a confusing menu layout, and it can be hard to reach from the driver’s seat. 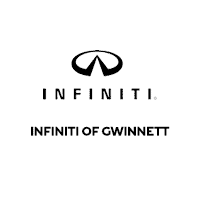 For more on the 2019 INFINITI QX80, call us today to set up an appointment at our dealership in Duluth, Georgia. You can stop by for a test drive and speak with one of our INFINITI specialists about what you would like in your QX80. Based on sterling aggregated reviews on Google, Cars.com, and DealerRater.com, we can guarantee that you will have a great experience at our location.